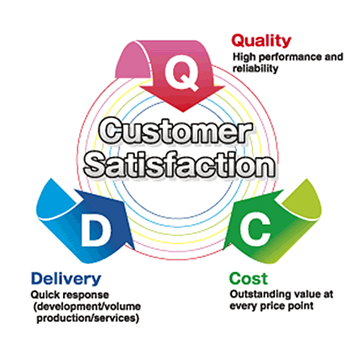 No matter if project is small or big our Quality Management System aims at delivering the best. The most vital step in the planning and selection of proper resource (tools or human resource) for your assignment. The essence of a perfect translator-assignment pair is to achieve the desired quality thus we perform this selection meticulously. We always emphasize on subject matter specialist with native level language efficiency in source and target to avoid any kind of inconvenience. Flawless planning and selection of tool and human resource, who has deep knowledge in the subject area secures a splendid beginning. Our translators undergo training and development process on a regular basis and are supervised based on their performances. The QMS has a rigorous, well-established system to evaluate their performance and certify them to ensure that the quality standards are not compromised. Constructive feedbacks and guidelines are passed on to translators who have not performed according to our benchmarks, thus contributing to their professional development and improvement in the field of translation. Performance reports are shared on a monthly basis and assignment specific comments and guidelines are provided in context with relevant feedback. With a complaint rate of less than 5%, our clients are hardly dissatisfied. However, to ensure client satisfaction even after the assignment has been completed and delivered, we have a systematic sales support system that resolves clients’ queries, revising documents, and providing re-translations at no extra cost.